Combine turkey, parsley, lemon juice, garlic, mushrooms in a bowl. Add a pinch of salt and pepper. Form into 4 patties. Heat a large non-stick skillet over medium heat and add oil. Cook patties for 5 - 6 minutes per side until they are no longer pink in the middle. 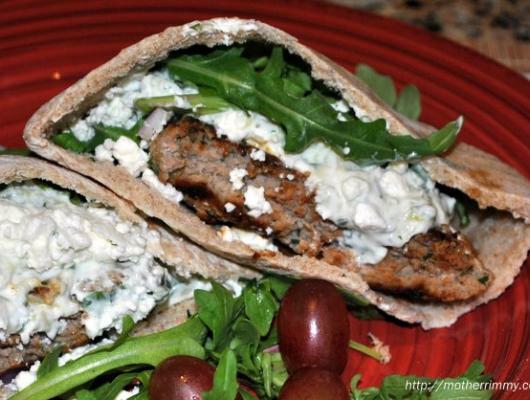 Serve with pitas, lettuce and topped with tzatziki sauce. 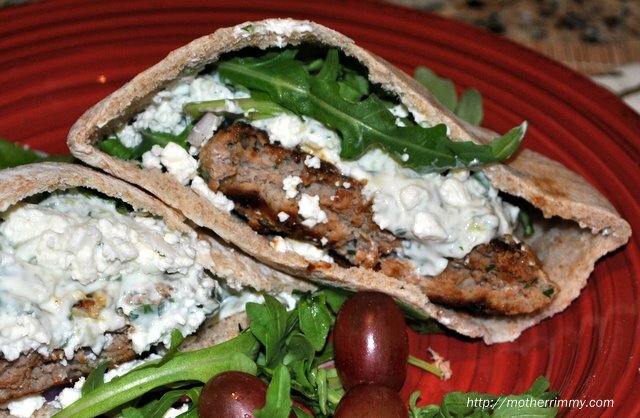 This easy grilled turkey burger is light and refreshing when you add a simple store purchased tzatziki sauce.